We WELCOME YOU TO EXPERIENCE THE WILDERNESS with the comfort of your RV, Camping by a fire, or a stay in our Cabins. Friday's RV Retreat and Fly Fishing Ranch was built in 1983 by its founders Bob and Maylon Friday and it is a family-run business. It is located 6 miles from McCloud California with majestic Mount Shasta sitting at 14,179 feet as its background and Squaw Valley Creek passing through it. At the RV park, you will find an RC airstrip, RC crawler course, fly fishing ponds, and nature trails. With no light pollution, nature offers stargazers a spectacular night sky. And for those who enjoy hiking, the turn-off to Squaw Valley Creek Trail is .2 miles from the park. A must see. The McCloud Reservoir is 3 miles from the park, making it the closest private RV park and campground to fishing and boating in the area. 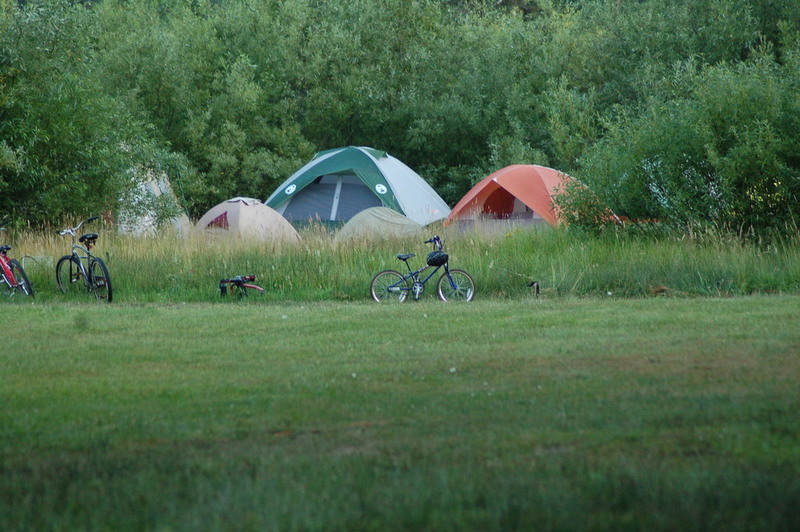 There are 3o spacious RV sites with pull-throughs, tenting areas, and cabins for all to enjoy. Reserve the Pond House for a weekend of fly fishing or relaxation. For larger groups consider the cabin with views of Mount Shasta. Rates are for 2 people and do not include taxes. A 10% TOT tax will be applied. Each additional person is $4.00 per day.